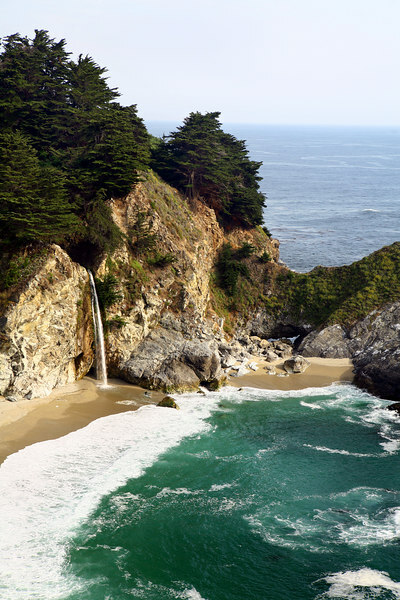 The McWay Waterfall is located in the Julia Pfeiffer Burns State Park, about 40 miles south of Carmel, CA along Highway 1. The trail to viewpoint is short, easy, level half mile, and worth the walk. The viewpoint has views both north and south of California's beautiful central coast.